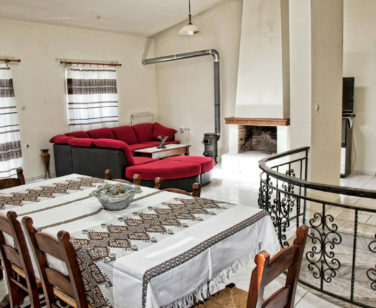 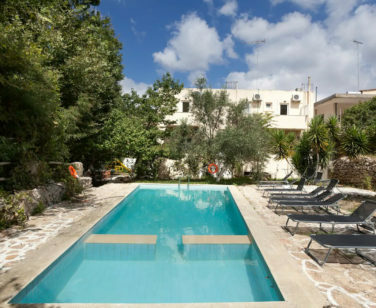 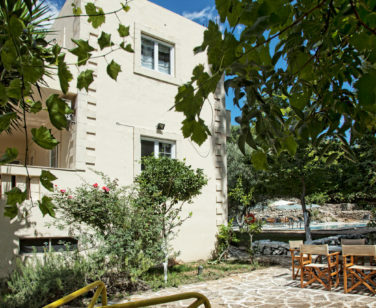 Spacious Villa in Crete (Dafnedes village), ideal for families & large companies who want self-catering holidays in Crete. 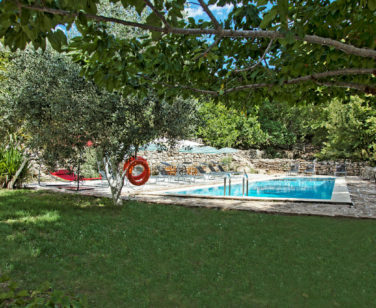 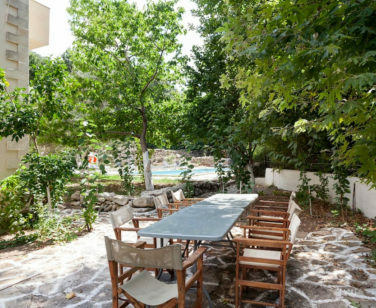 Villa Klados is a spacious villa in Crete, Dafnedes village; it is a different property and 24km away from Stone Village. 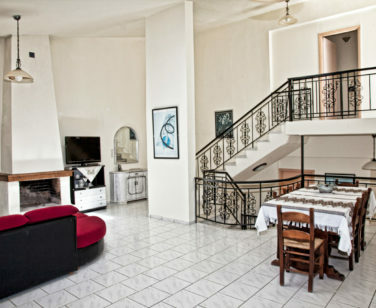 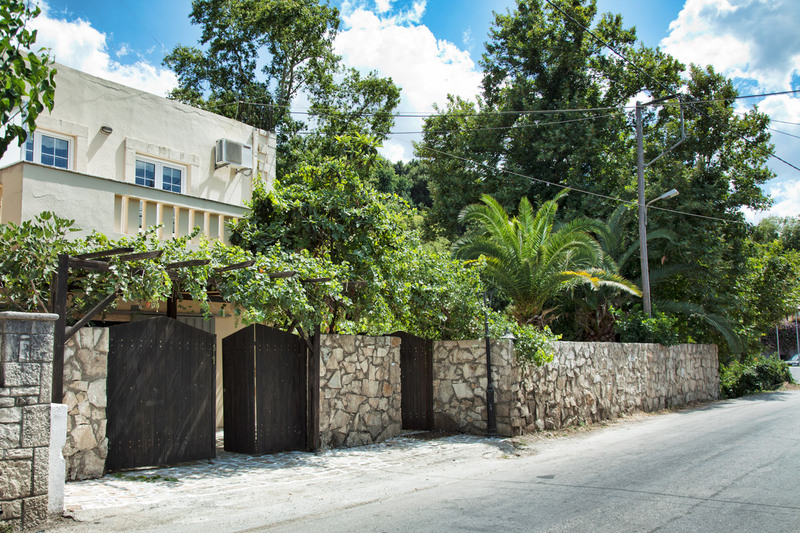 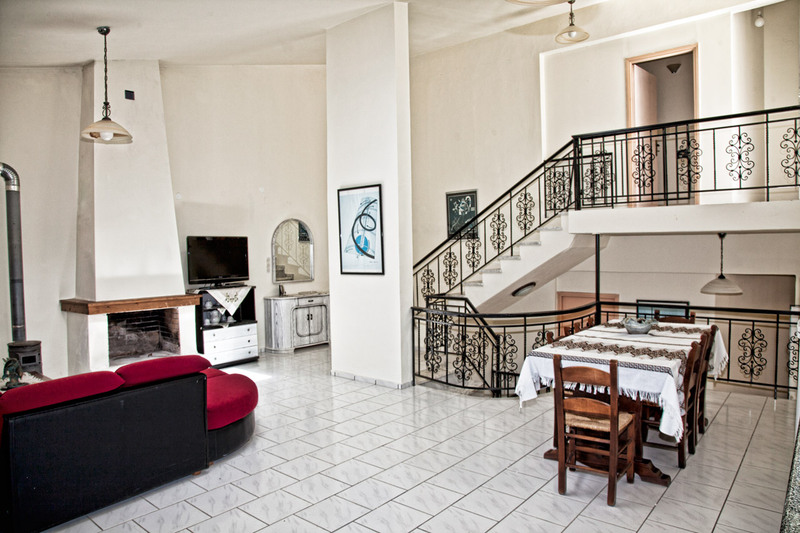 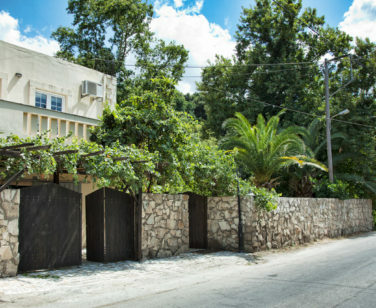 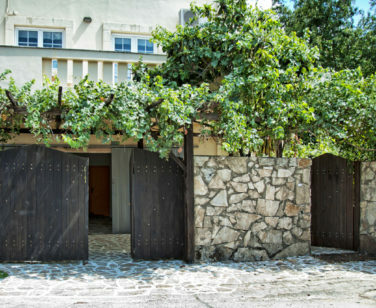 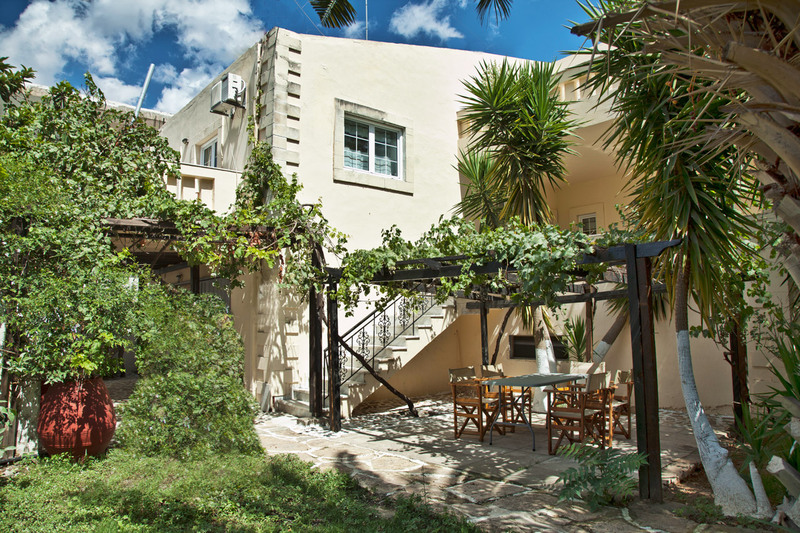 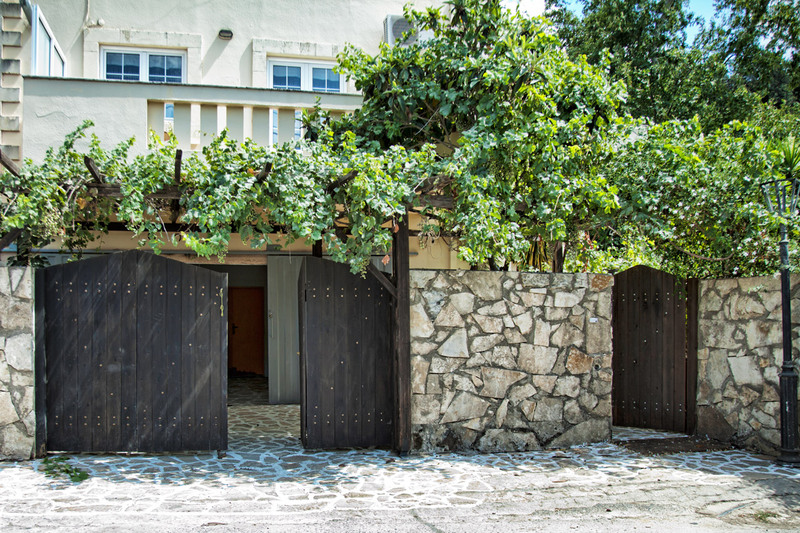 The villa can accommodate up to 17 guests within its 170 m² premises built in 4 levels. 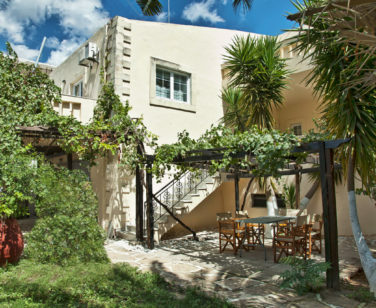 It has 6 separate bedrooms, each with its own air-conditioning unit & TV. 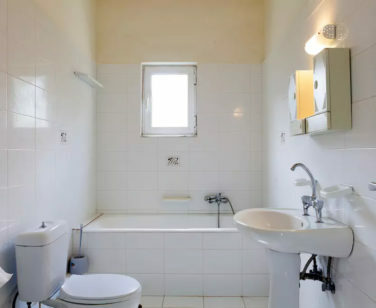 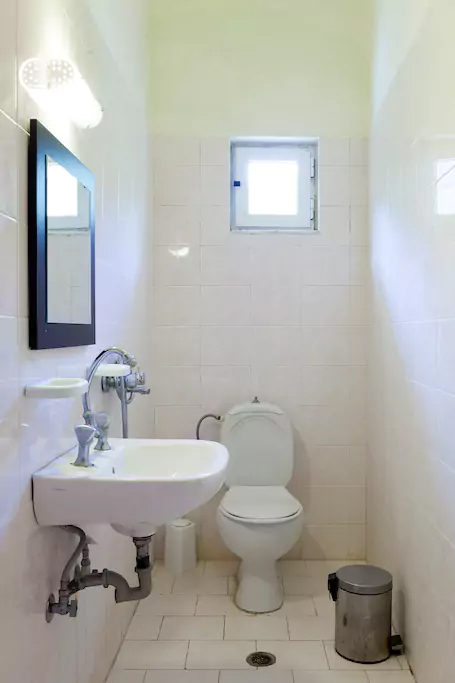 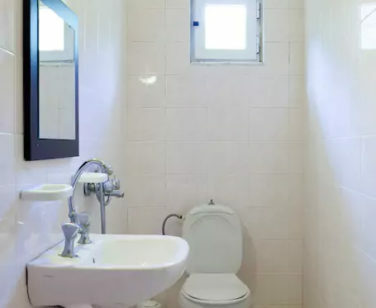 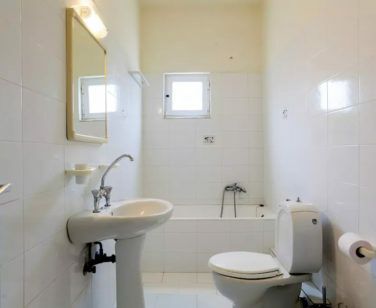 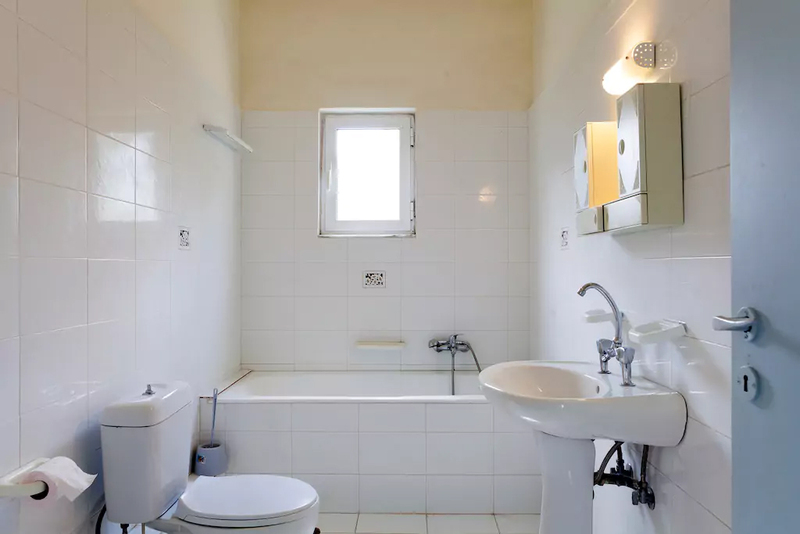 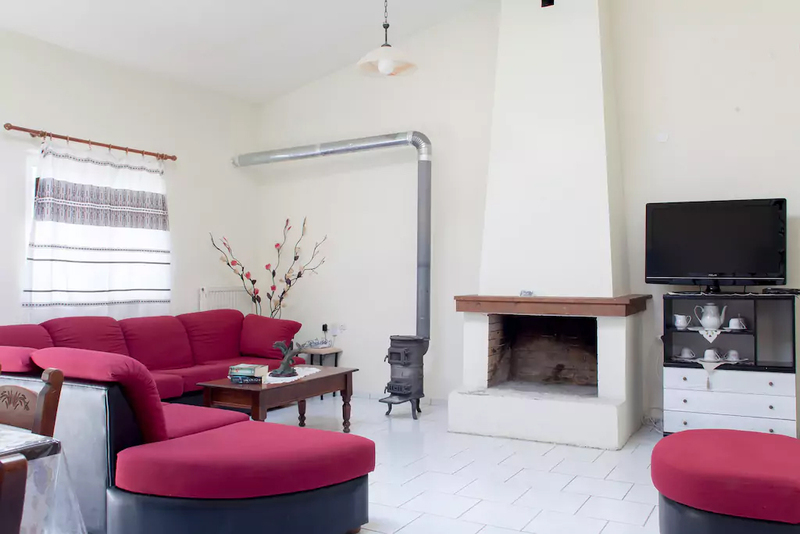 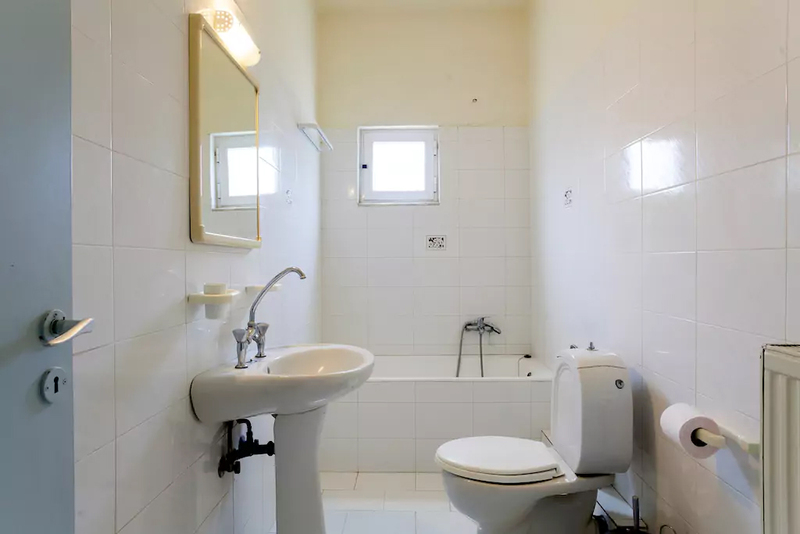 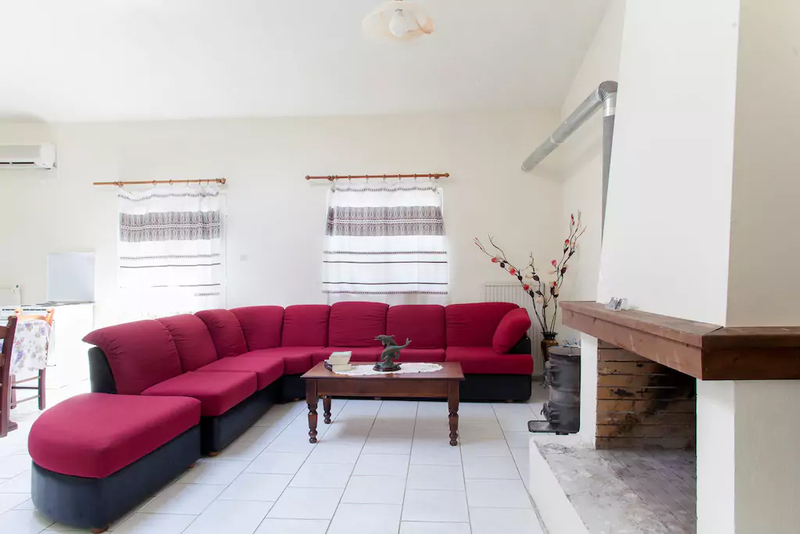 It also has 4 bathrooms (either with shower or bathtub), a living room with fireplace & TV, a dining area, and a fully-equipped kitchen. 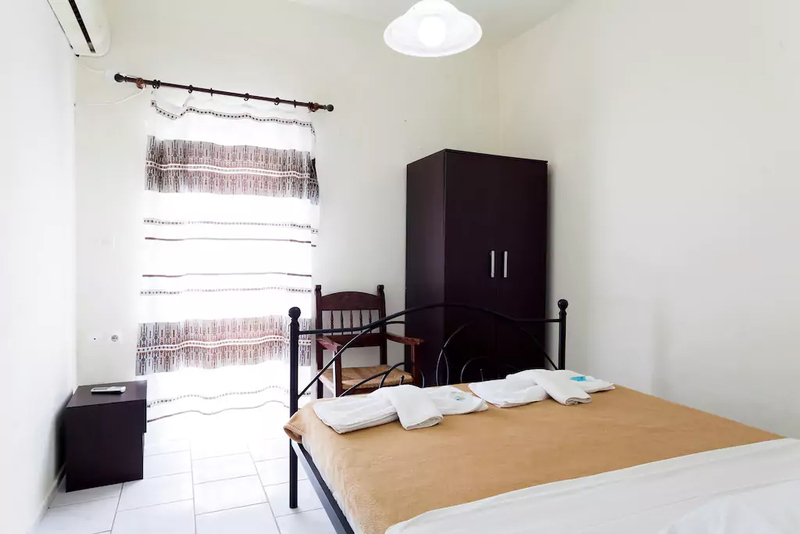 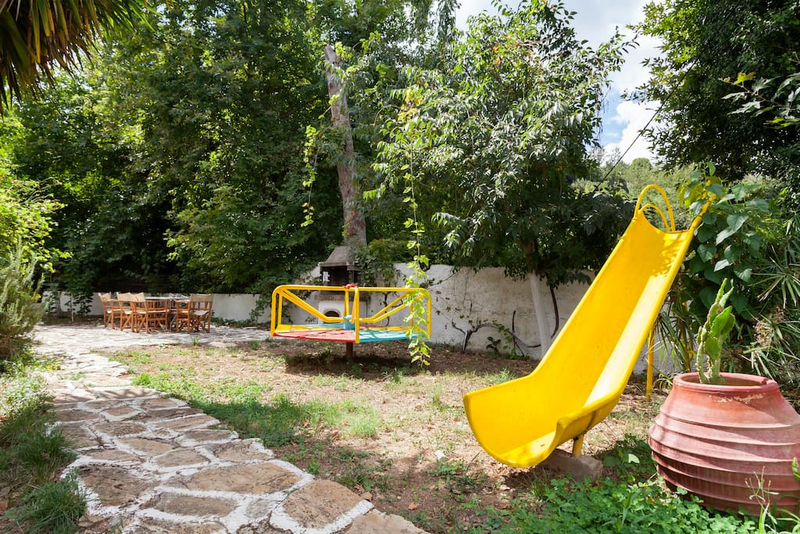 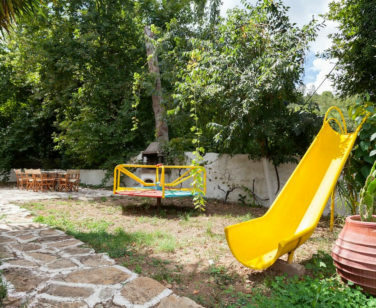 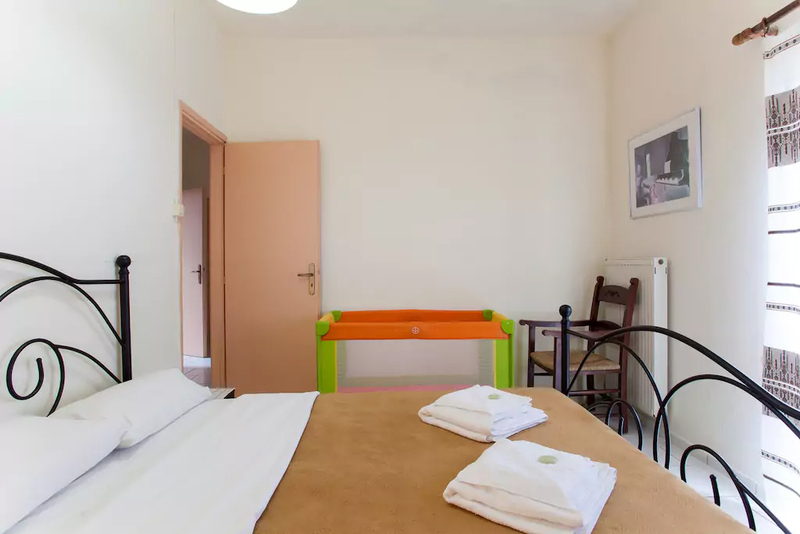 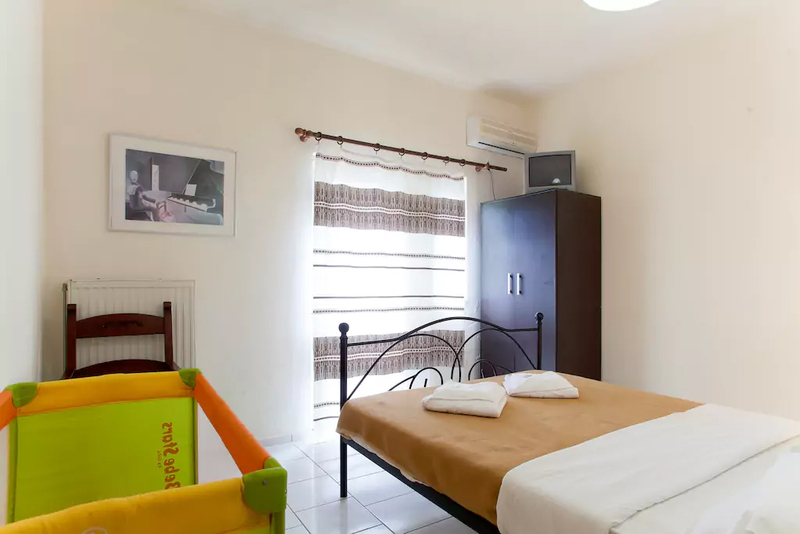 Within its large garden, guests can relax on the sunbeds by the swimming-pool, have a barbeque, and enjoy the day at the outdoors sitting areas while children play on the playground. 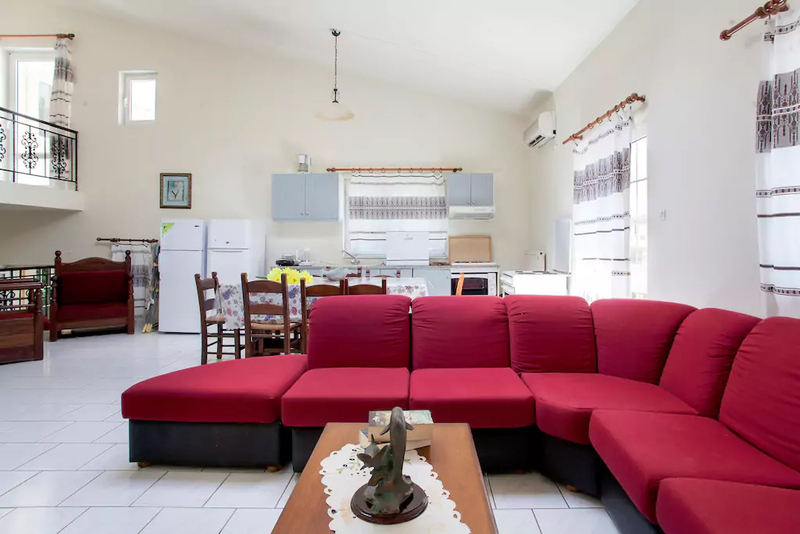 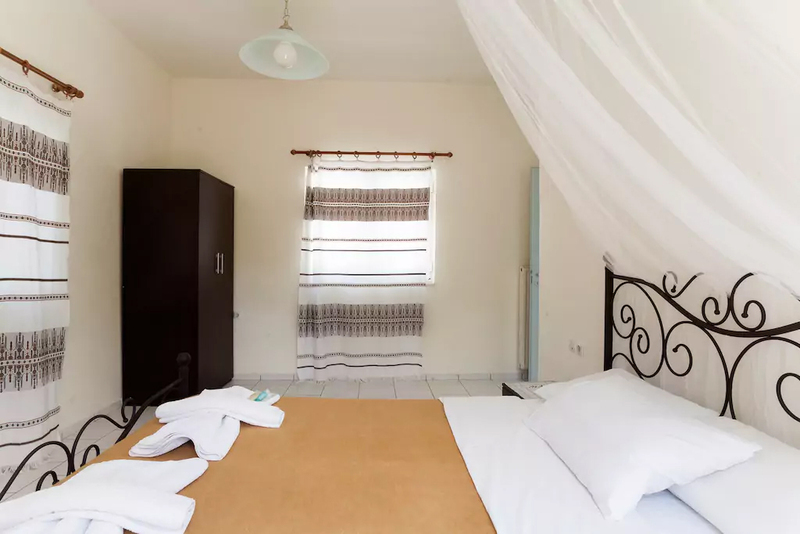 This spacious villa in Crete is only 10 minutes walk from the beach, and 15km from the famous beaches of Bali and Panormos. 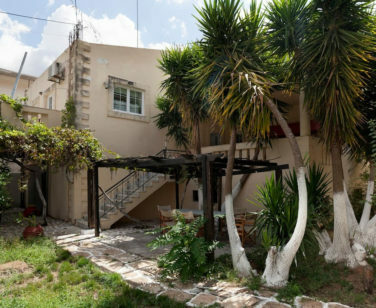 Rethymno Town is 32km away, while Heraklion City is 60km away. 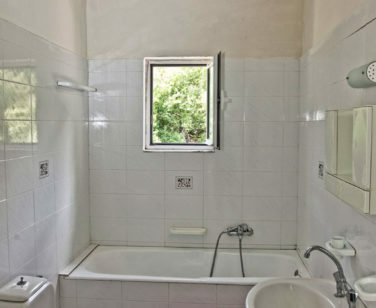 The nearest mini market is 6km away. 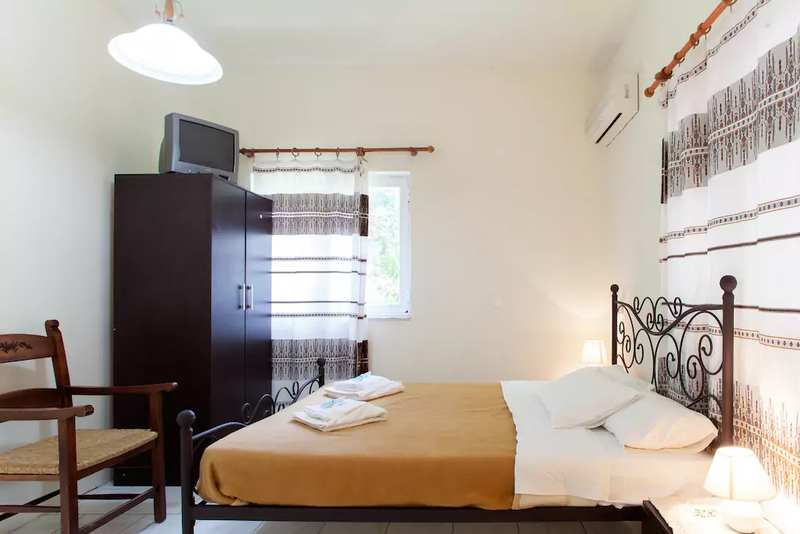 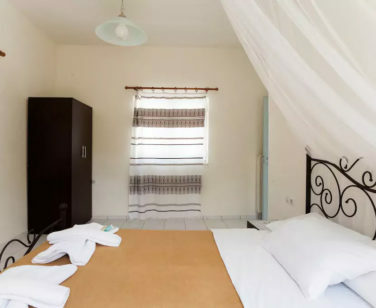 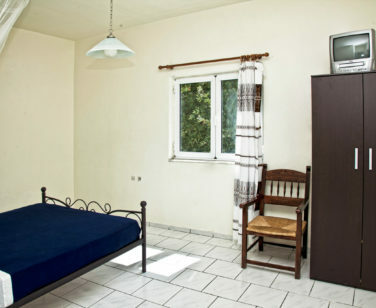 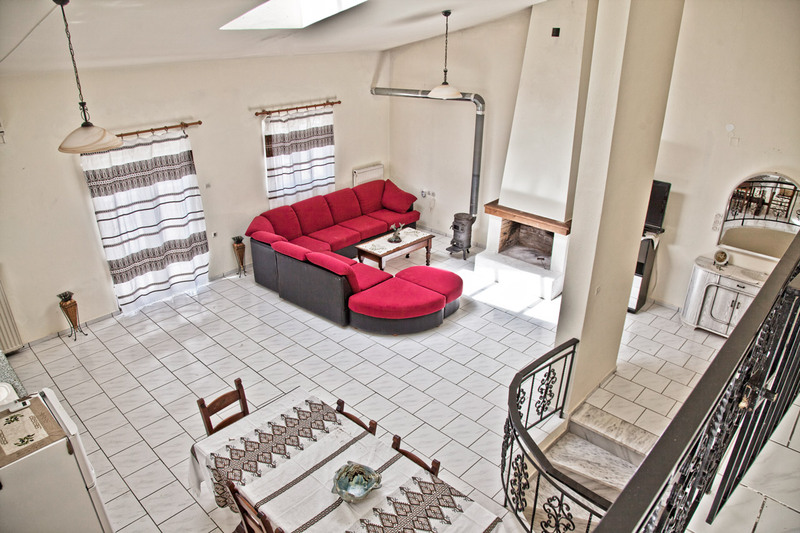 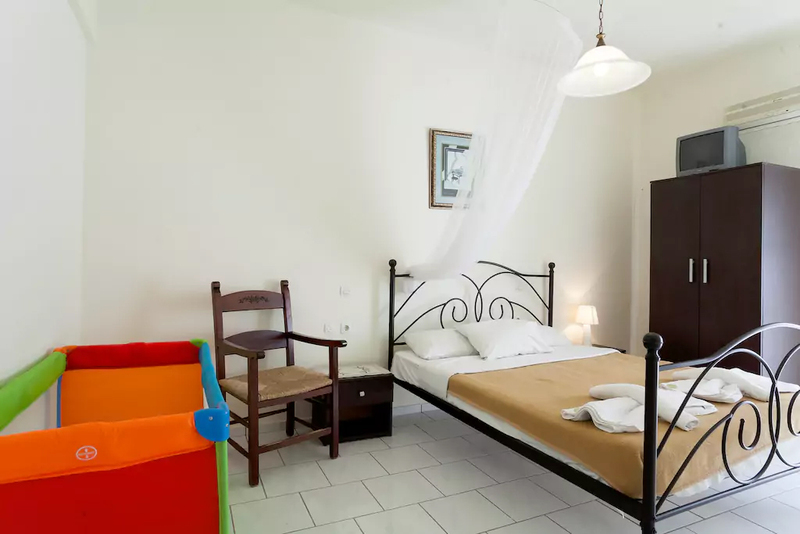 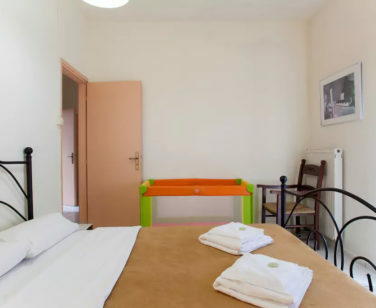 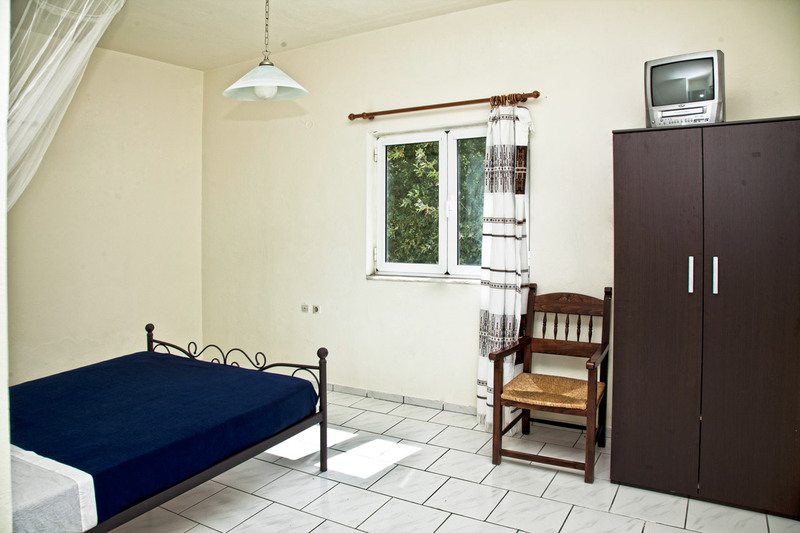 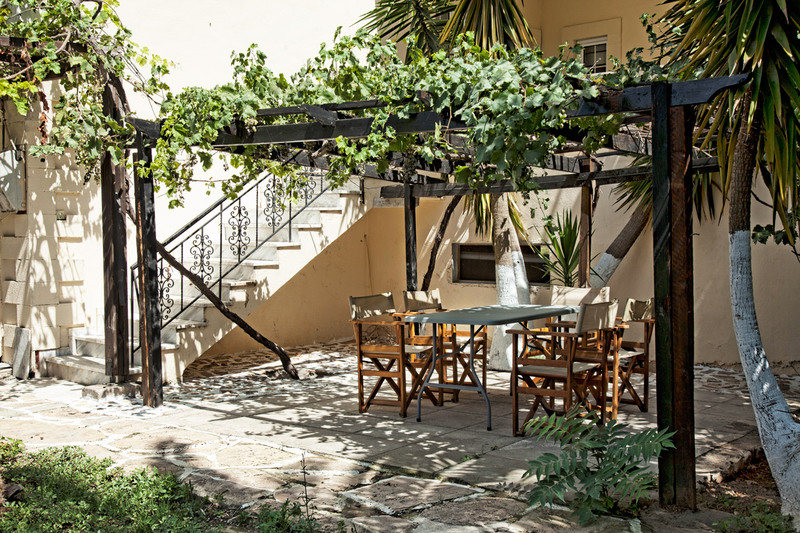 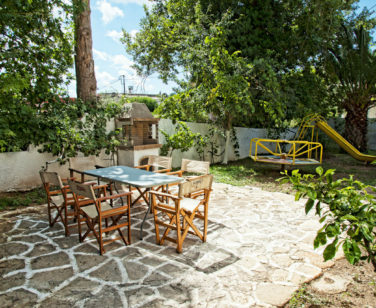 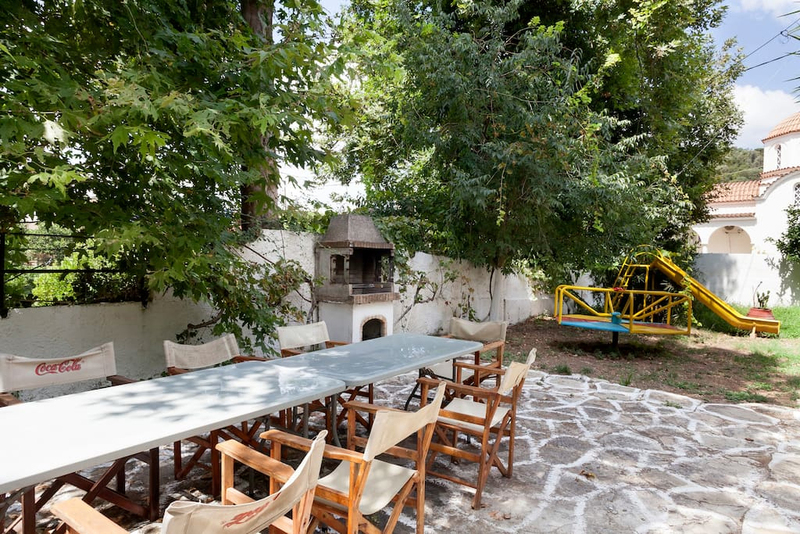 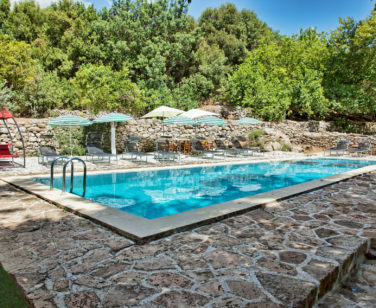 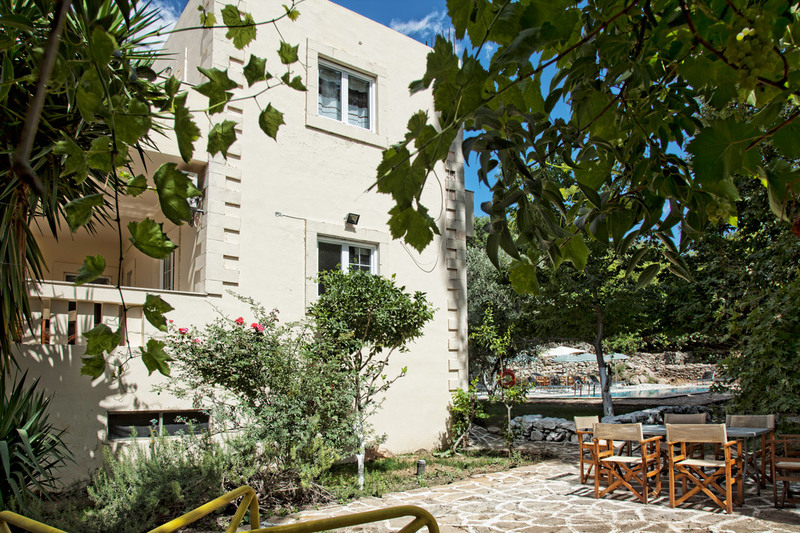 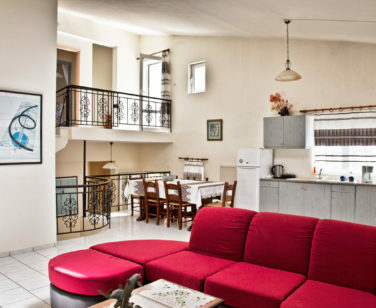 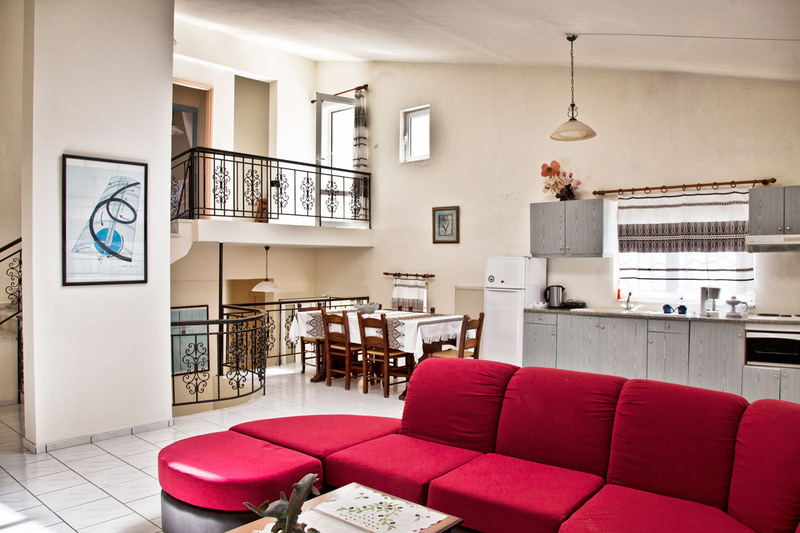 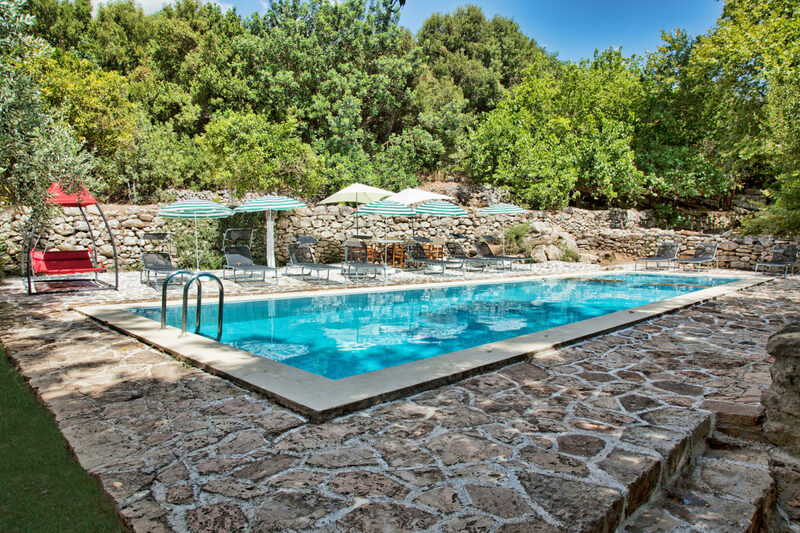 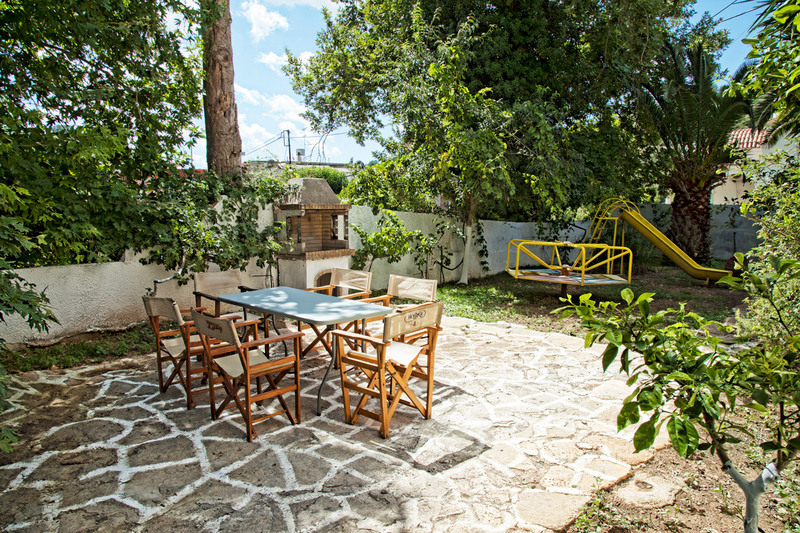 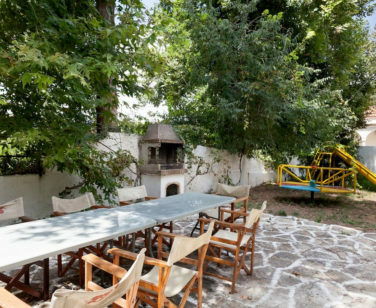 The spacious villa in Crete can accommodate maximum 13 adults and 4 children. 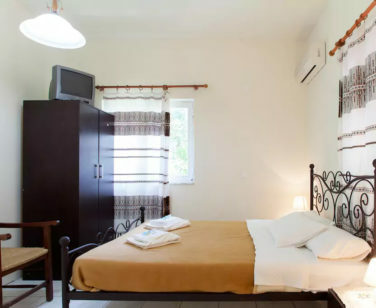 The villa has 6 bedrooms with double beds. 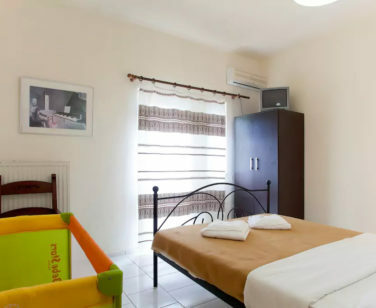 There are also 2 sofa beds & baby cots. 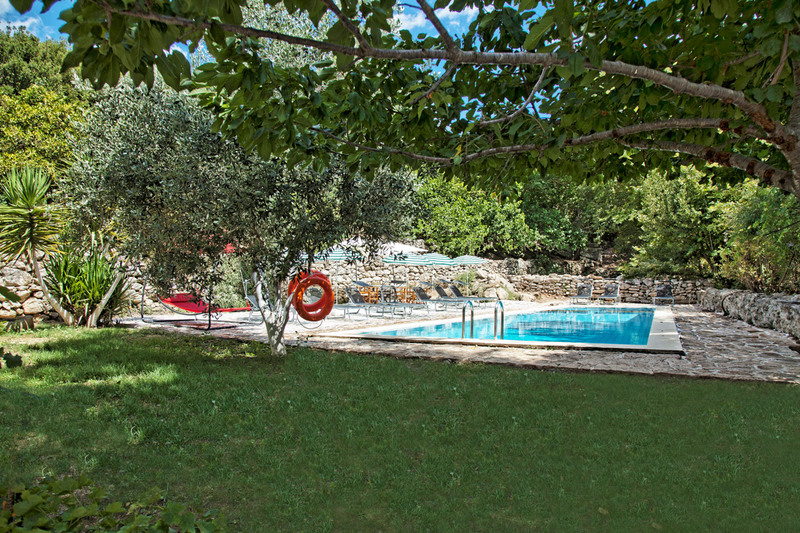 Large private swimming pool with umbrellas & sunbeds, amidst the garden. 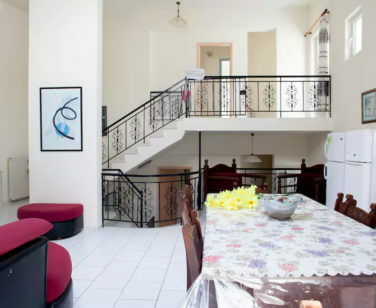 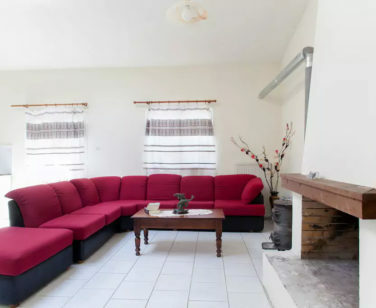 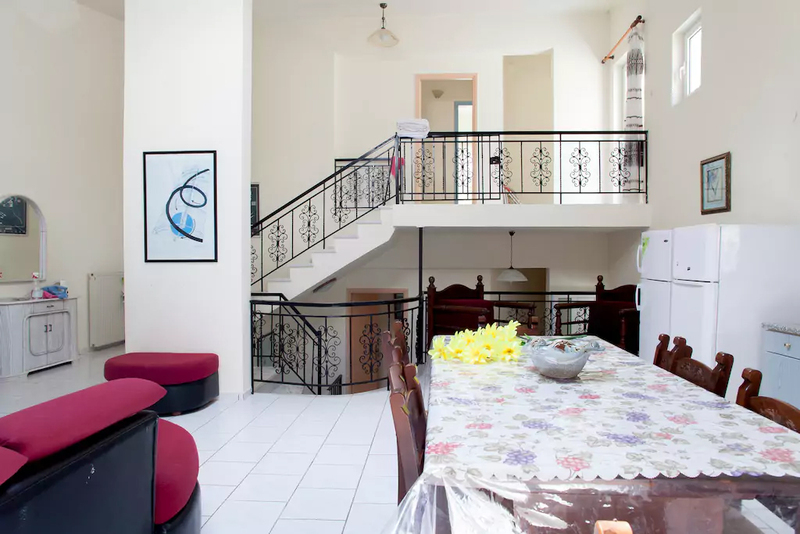 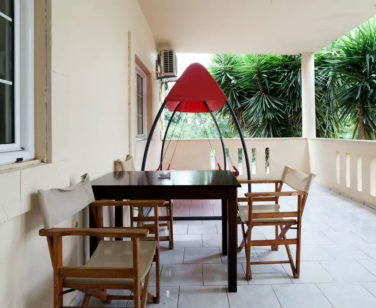 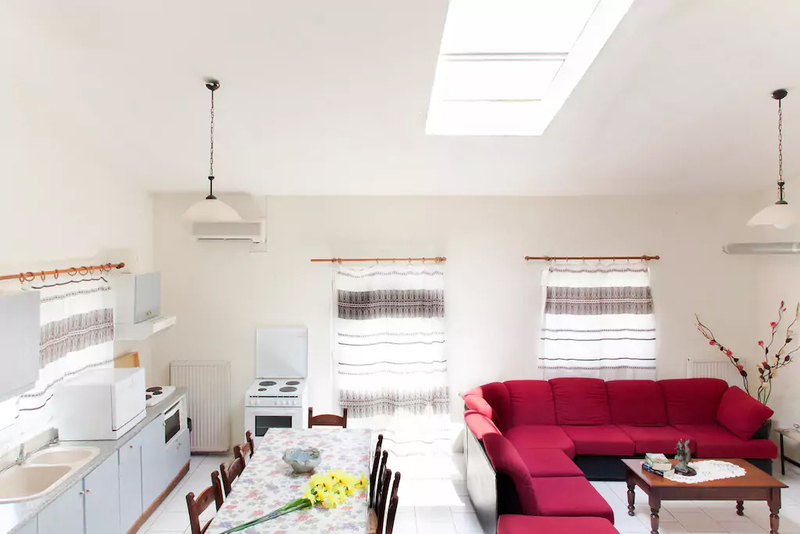 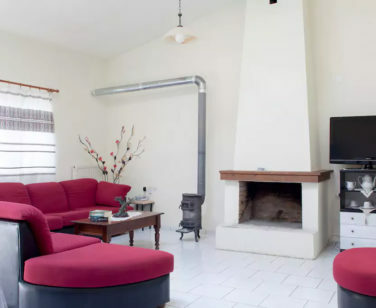 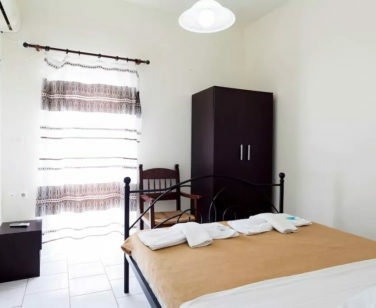 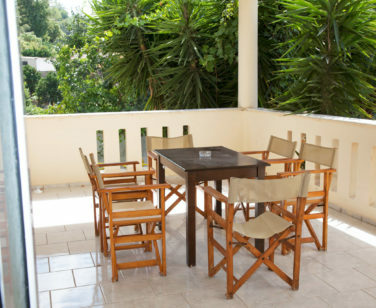 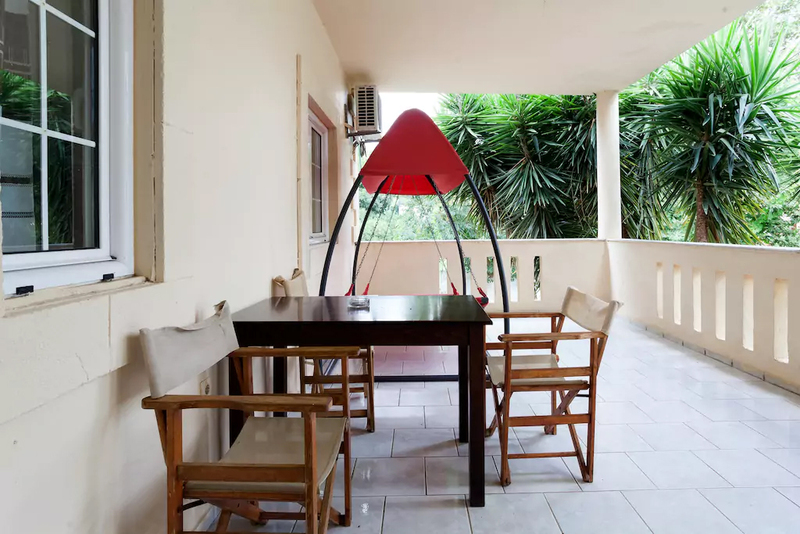 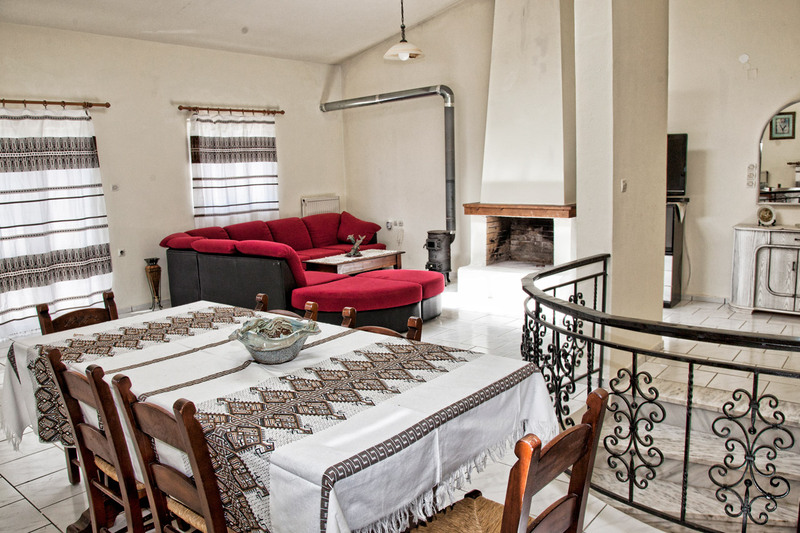 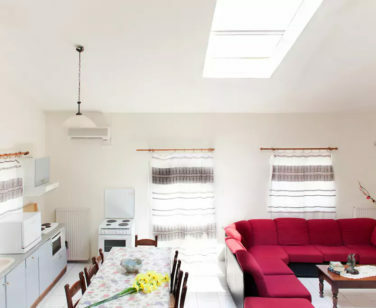 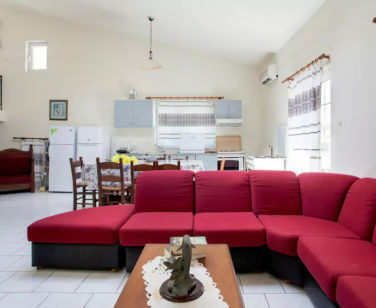 The villa has a fully-equipped kitchen, and dining tables indoors & outdoors. 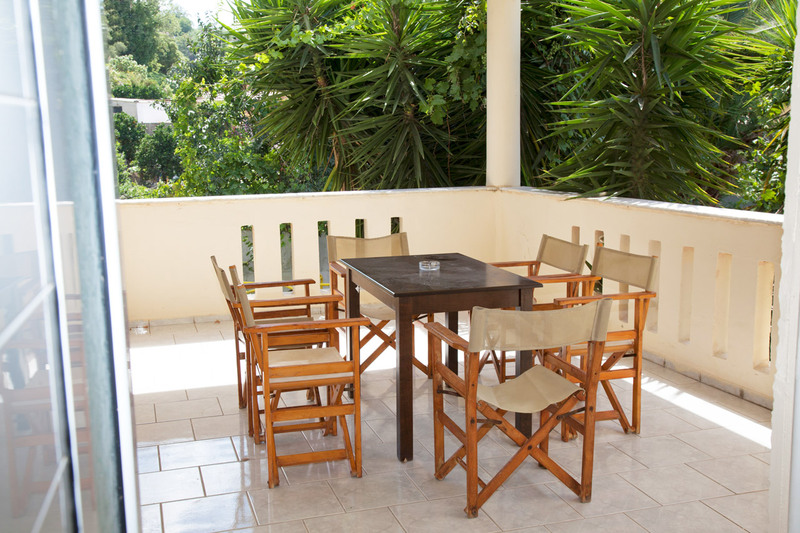 Free Wi-Fi is provided at all areas of the villa. 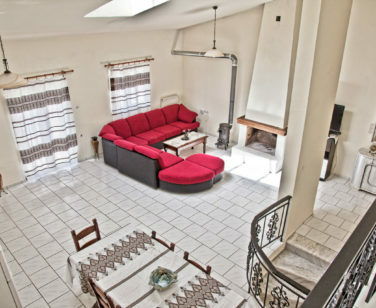 The villa is cleaned every day. 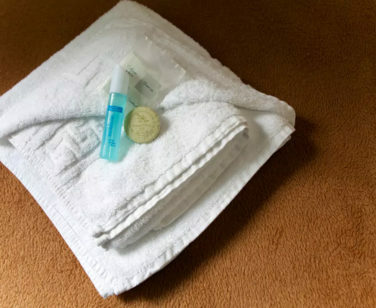 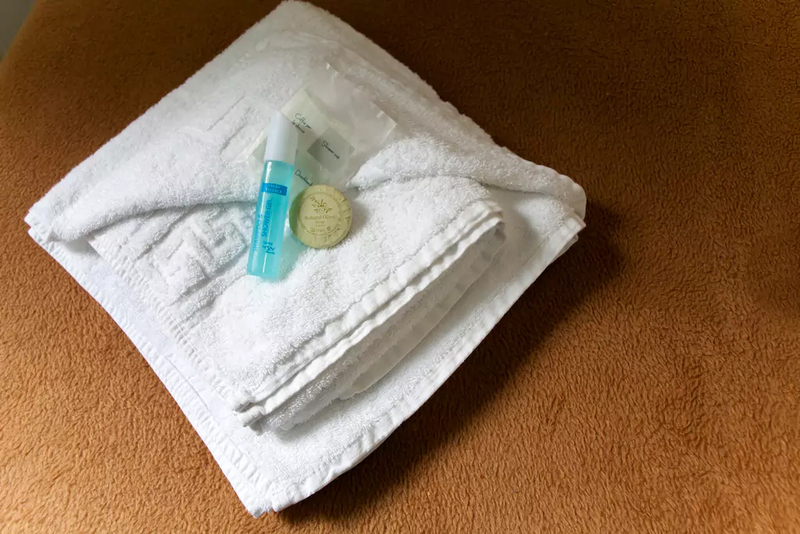 Towels & linens changed twice/week. 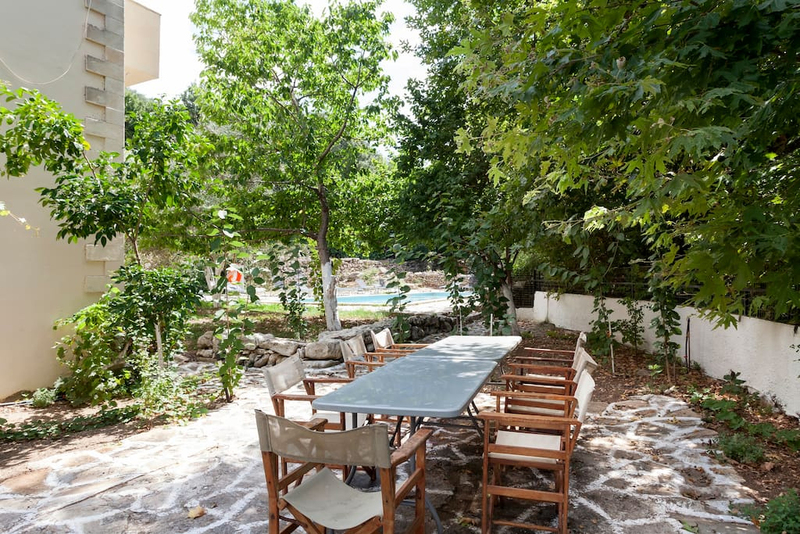 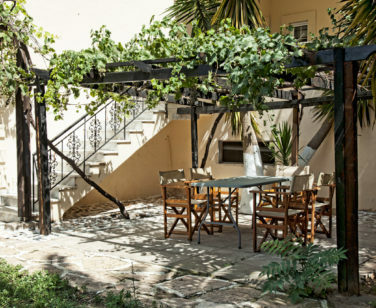 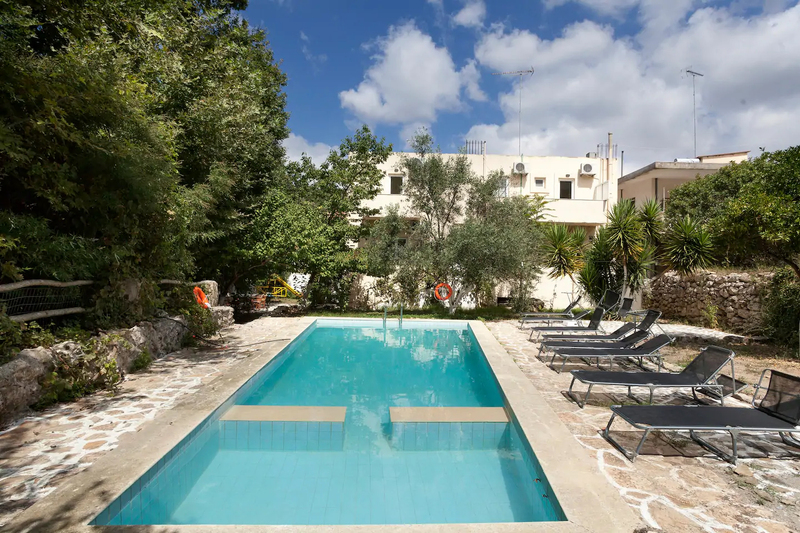 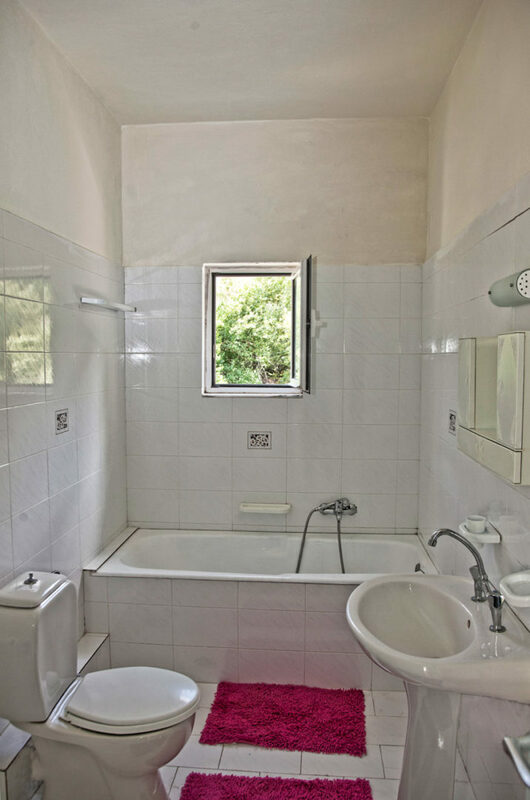 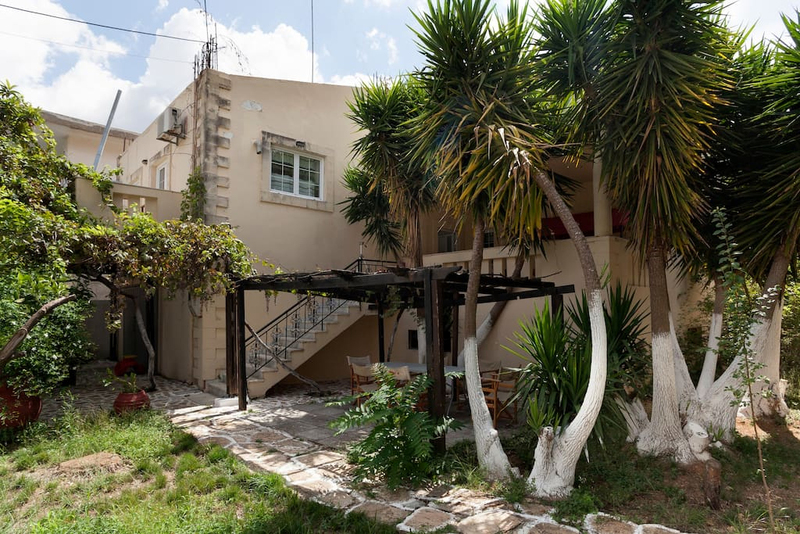 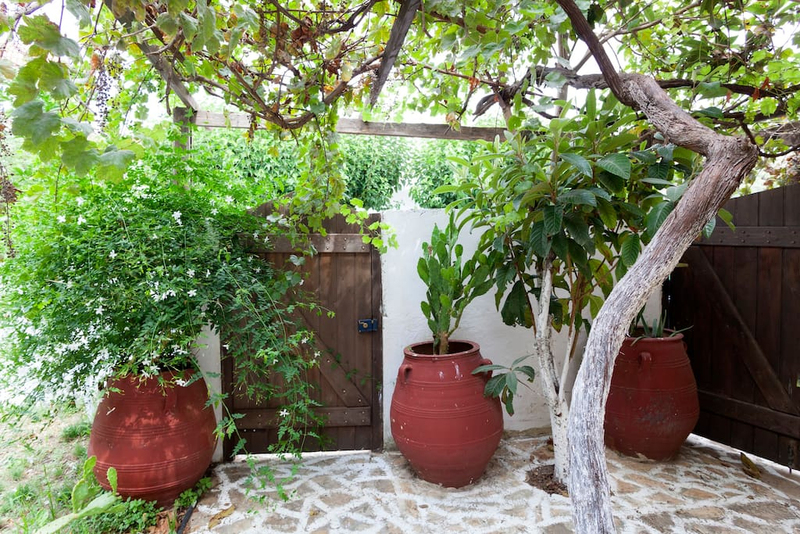 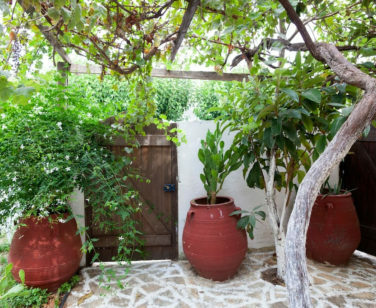 Villa Klados is located in Dafnedes village, at the 25th km of the old highway between Rethymno-Heraklion. 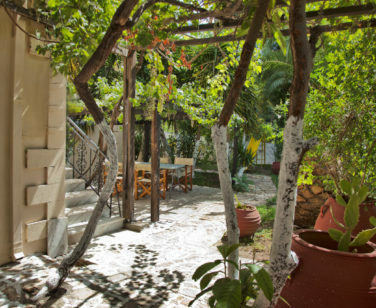 Situated at an altitude of 160m, it is built on a green hill counting 500 years of existence. 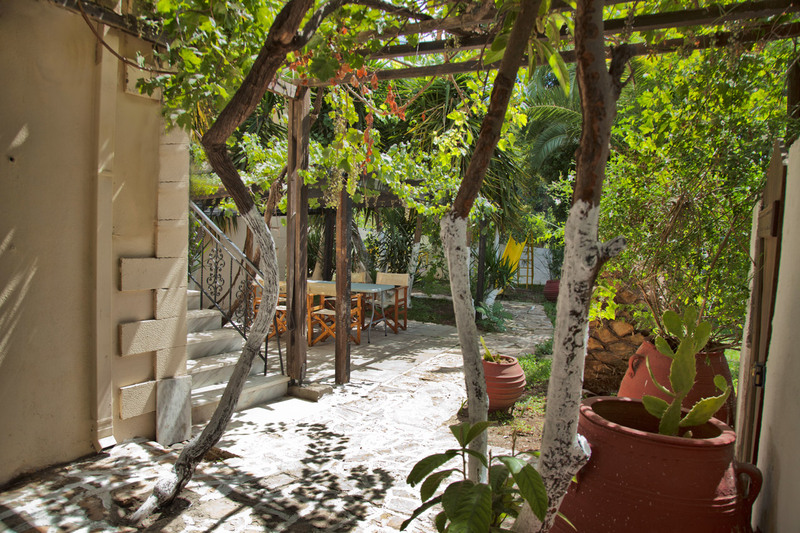 One can spot the Venetian and the Ottoman influences on the buildings of the village, wich visitors can admire by walking through its narrow, traditional streets.